If you’re looking for a television that nearly looks like a work of art no matter what your media content is, then the Sony XBR-A9F Master Series TV is ideal for your space. This TV, available in 55-inch and 65-inch models, is designed with the idea that the creator’s intent for a film, show, or any piece of media will be completely and wholly reflected on this display – and that goes for an action-packed, suspenseful football game as well. With its Picture Processor X1™ Ultimate, the Master Series helps to prevent image deterioration and preserve precise details on the screen. You’ll see smooth and clear picture every time, and you’ll never miss a single play. Additionally, its OLED display ensures deep blacks and stunning contrast as you watch the big game. Another fantastic Sony 4K UHD TV is the XBR75X850F, which is dropping $499 in price to $1,799 just in time for the Super Bowl. At this price point, you get a phenomenal 75-inch HDR display that delivers lifelike visuals and a vivid, bright screen. Every new scene will appear crisp and refined, making you feel a part of the action, and like you’re right on the field with the Rams players themselves. The Samsung UN82NU8000FXZA is also a great 4K UHD TV for game day that has dropped around $1,400 in price to an affordable $2,599 price point (for the 82-inch model). It has advanced smart browsing with voice control that will transform how you use your television. Now, if your hands are full with buffalo chicken dip, you can now simply tell your TV which channel to switch to. The TV’s voice assistant is named “Bixby,” and with it, you can find the right channel, adjust the volume, or even ask it questions. Just press one button on the Samsung OneRemote, and the control is in your hands and in your voice. As this TV boasts 4K UHD resolution, you’ll also be able to watch the game with amazing contrast and a wide range of colors. And with its Motion Rate 240, every scene’s fluidity ensures you’ll never miss an important catch or play. 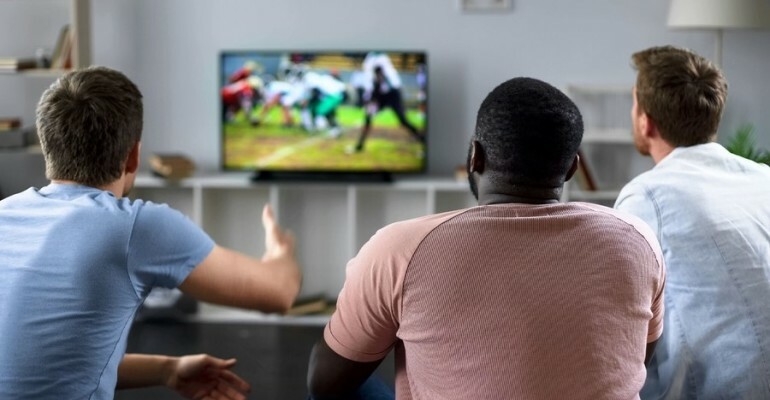 Want to learn more about the best 4K TV deals for your Redondo Beach-area home, just in time for the Rams’ big game in Super Bowl LIII? Give us a call at 310-372-2212 or contact us here to schedule a no-obligation consultation with our team. We’d love to hear from you.